Thanks so much for arranging our magical trip to Tulum! It was a perfect blend of activity and relaxation and although we knew it would be awesome - we had no idea just how AMAZING it would be! Our guide Javier was so kind, friendly and patient - a very welcome face as we landed bleary eye off the red-eye from LA and he got right down to making sure we had great local coffee and sharing his experience of life in Mexico with us. We could not believe our eyes when we got to the end of of the beach road to our accommodations at Rosa del Viento - right next to the reserve! Everything from our beautiful treehouse room to the incredible dining room overlooking the aqua Caribbean to the amazing white silk sand and incredible beach palapas - we knew we were truly spoiled! Everyone we met was so gracious, friendly and eager to share their culture with us. 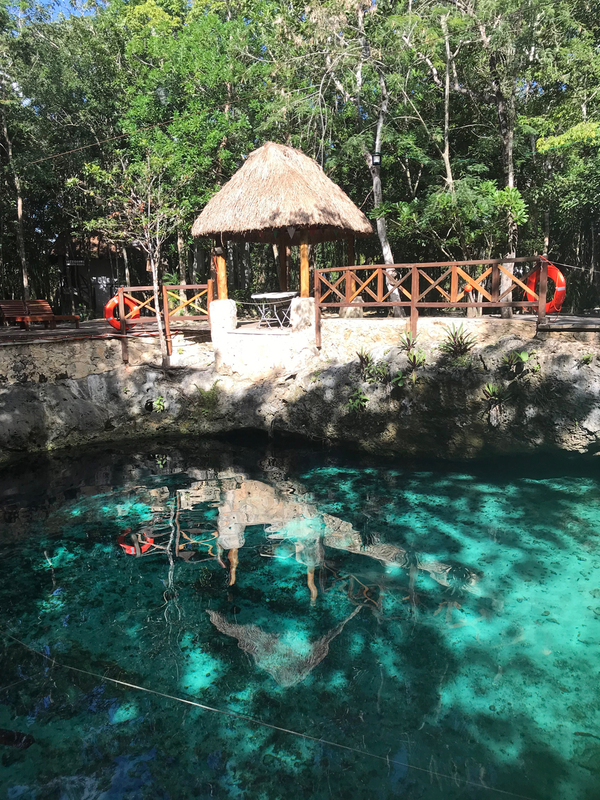 Besides, waking up to perfect coffee, tropical fruit, yogurt and pastry while gazing at the gentle Caribbean every morning, my favorite moments were Lily's Rivera Kitchen family style cooking class and snorkeling at Cenote Sac Actun. Our first venture was to Lily's vibrant and warm kitchen in the middle of the countryside which was filled with good cheer, amazing colors, flavors and aromas and more than a little bit of magic. She shared the medicinal and culinary properties of her grandmother's recipes from Oajaca as well as what she has learned about Mayan food after many years raising her family in the region. Everything was done in such a relaxed but interesting and flowing manner, Lily's approach is truly artful. Being in her kitchen was a wonderful reminder of the ability of food, to bring together people from around the world to laugh, share and learn as well as heal and nurture themselves with wonderful natural foods. Snorkeling at Cenote Sac Actun was another stunning experience. We happened to arrive with Javier at a time where we had it nearly all to ourselves and the exploring the intricacies of the cave and all the wild formations in almost total silence and at times darkness was a rare treat! Although we decided to leave the cameras behind for this one, the depth and intricacies and age of the chambers of the cave are truly stunning as is the amount and variety of nature that manages to thrive in such an underground world. Tiny snoozing bats, ocean deep caverns, ancient limestone columns and rock-defying roots - were just so surreal!